"Energizing, dynamic, electrifying, inspiring, experimental." 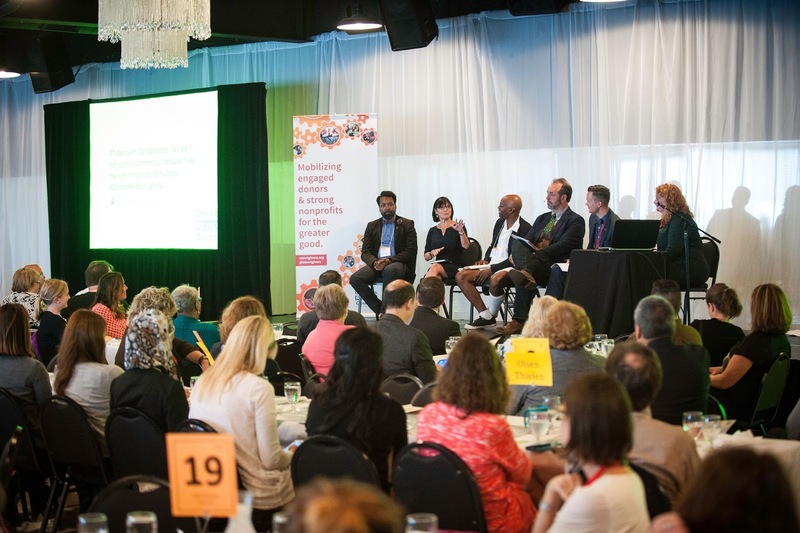 Those were just a few of the words attendees used to describe Annual Forum 2015 - Philanthropy 2.0: Radical Collaboration, and we couldn't agree more! 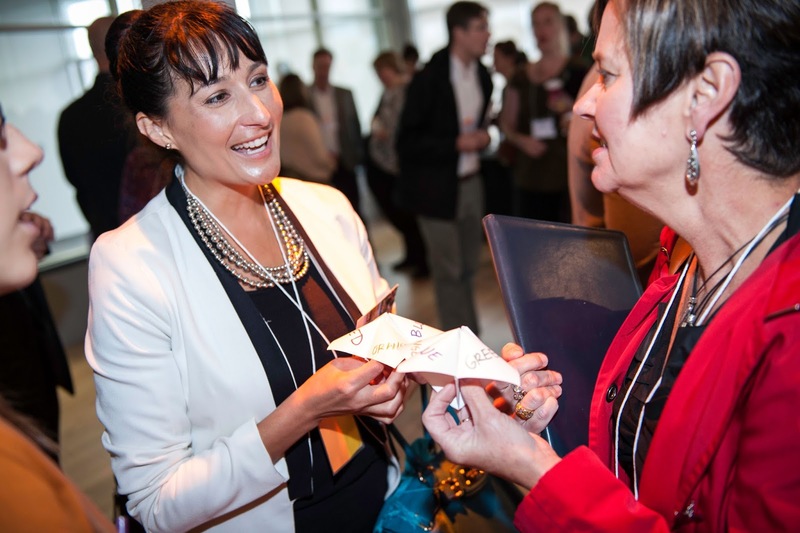 At Annual Forum 2015, we asked you to join us as we imagine, create and innovate a new future of philanthropy with donors and nonprofits working together in authentic, trusting and collaborative partnership, for the greater good. This year's theme, Radical Collaboration, encouraged attendees to not only attend, but to participate. Re-live the Annual Forum 2015 experience with our Annual Forum video, attendee tweets, event photos, and more! Annual Forum 2015: Radical Collaboration from Charities Review Council on Vimeo. With help from SPARKit, a mobile pop-up park that encourages creative exchange through games, art-making, and a festive atmosphere, and DJ extraordinaire Lizzy Shramko, we hosted our first session of the day, Making New Connections, a fun and engaging networking hour. Radical collaboration requires a first step, an initial introduction, a space and place to find common ground. At Annual Forum 2015, attendees where challenged to take the first step and meet someone new. "I love that from the very start I was challenged to think in radically different ways- about networking, about what to expect from a conference!" "It was a great way to start the forum. Awesome vibe!" Attendees were then invited to pause, listen and learn at our second session of the day, Radical Collaboration in Action. 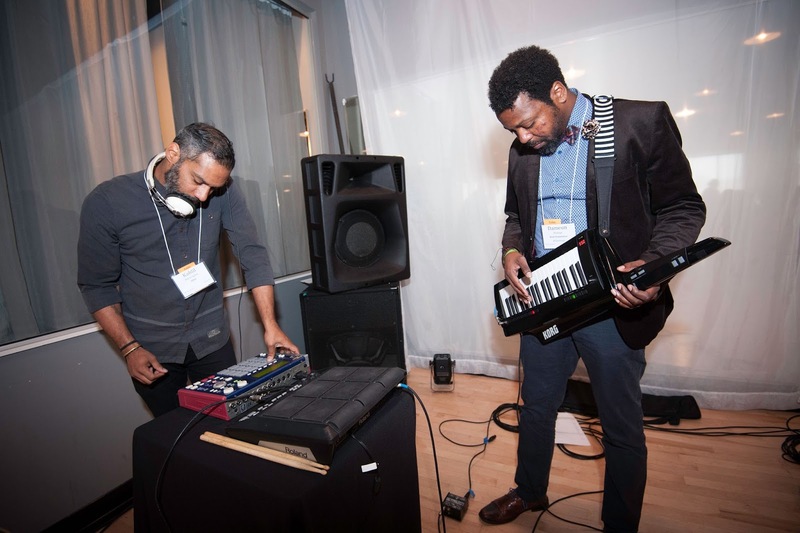 To set the stage, Dameun Strange, a Ron McKinley Philanthropy Fellow at the Bush Foundation, shared his perspective on collaboration, jazz music and leadership. Dameun and Khalil Brewington, who together make up KBDS, then shared a LIVE, musical, radical collaboration, creating a piece of music inspired by the day. "Great panelists and discussion. Loved the integration of the arts/music." Our cross-sector leadership panel then provided examples of innovative, disruptive and collaborative projects and programs happening right here in Minnesota and beyond. Moderators, Carl Atiya-Swanson of Springboard for the Arts and Kris Kewitsch of Charities Review Council. Here were just a few of the many share-able moments! #DisruptMN @smartgivers asked: what comes to mind when you hear collaboration? Fun, fellowship, force for good. Through conversation, both in-person and online, around the benefits, and let's admit it, the challenges, that accompany new collaborative projects, attendees left feeling inspired, energized and equipped with tools for integrating collaboration into their daily work. Anna Love-Mickelson, co-founder of stoke.d and professor at the Stanford University School of Design, then moved us into our last session of the day, the Open Source Brainstorms. Our goal for this session was to create a space and place for individuals, like you, to bring ideas and opportunities for collaboration, to the table. Participants self-selected into small group conversations around these five key themes. create self-identified philanthropists using education and skill-building? help boards and nonprofits reflect and include the communities they serve? make the communication between donors and nonprofits easy and seamless? leverage technology to strengthen the relationship between donors and nonprofits? communicate to the world the outcome of our work in a meaningful way? 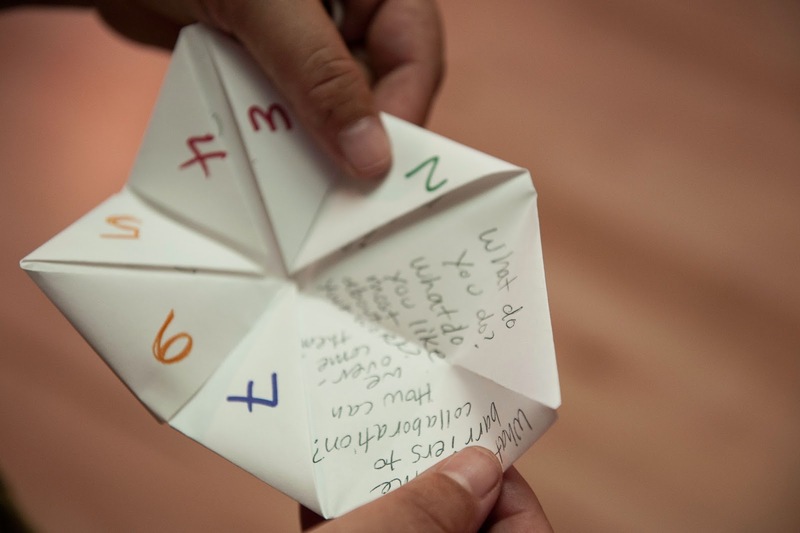 Using elements of design thinking and a group of dynamic, philanthropic leaders to help facilitate small group conversations, attendees generated more than 350 ideas and potential solutions to the questions identified above. With the incredible knowledge, skill and expertise in the room, there were far too many ideas to share out at the event. But don't worry! Charities Review Council announced that it will be sharing "an idea a day" across our social media platforms (Facebook & Twitter). We hope that you might be inspired by an idea generated at Annual and run with it! Follow us online to see the ideas, share your thoughts and continue the #DisruptMN conversation. 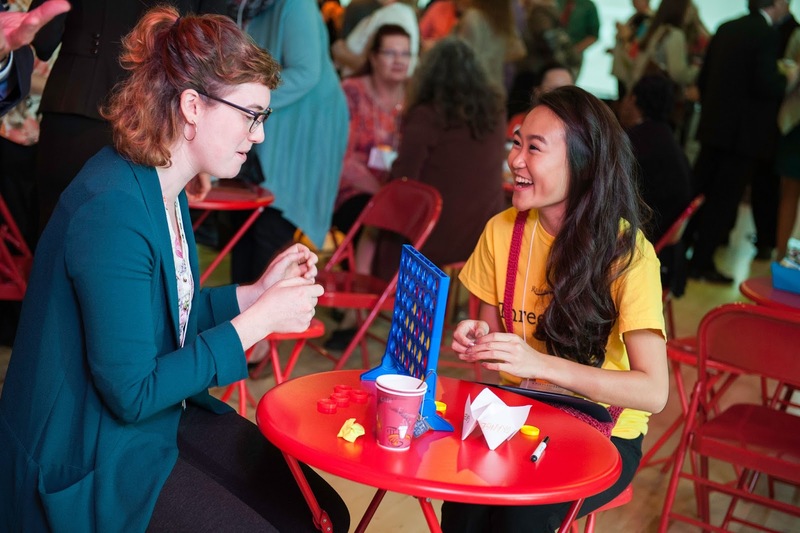 In addition to sharing "an idea a day," Charities Review Council also announced Open Source Brainstorm Labs, as a space and place for individuals to continue to come together, design and create collaborative solutions. Stay tuned for more information to come in 2016. 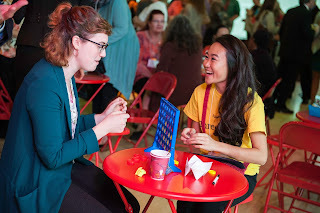 The Annual Forum continues to be a place for making new connections, deepening existing relationships, experiential learning and fun! This year, we learned that collaboration isn't always easy or comfortable, and it's definitely not linear, but is necessary in order to create meaningful change. We hope that you'll join us at Annual Forum 2016 as we continue to grow the greater good in partnership. Click here to join our invite list. P.S. Go ahead, tag yourself and your friends in the event photos, here! 'Tis the season of giving! Whether you're a nonprofit fundraising professional, a generous donor, or both we're here to help you prepare for the fast approaching year-end giving season by sharing what we've been reading this month. Articles include topics such as Give to the Max Day, Giving Tuesday, smart giving tips, and more! The seventh annual, 24-hour online give-a-thon, Give to the Max Day brought in more than $18 million from a record-breaking 62,740 donors, benefiting more than 5,500 Minnesota nonprofits and schools. Whether nonprofits or schools "trotted out cute puppies, lip-synced songs, ran on treadmills, or built a kayak," Give to the Max Day illustrated, yet again, Minnesota's strong culture of philanthropy with donors and nonprofits working as engaged partners, for the greater good. Way to go, Minnesota! To read more on this record-breaking day, click here. Following Black Friday and Cyber Monday, Giving Tuesday is a global day of philanthropy. Continuing to gain traction, Giving Tuesday raised $46 million for nonprofits last year, up from $38 million the year before. Here's a look at what's ahead and some advice for making the most out of this special giving holiday. As a generous donor and nonprofit supporter, this time of year often correlates to a mailbox full of heart-felt appeal letters, from hundreds of worthy causes. So, how do you choose? At Charities Review Council, we know that all donors are investors and that every precious dollar matters. That's why we love partnering with you to make smart giving decisions, using your head and your heart. Check out Charity Navigators 5-step checklist as a reminder for what to look for when making a giving decision. Click here to read more. "According to Charity Navigator, 40 percent of all charitable donations in a given year come during the Giving Season," and according to the Network for Good, "From 2011 to 2014, December donations increased by 49 percent." As a nonprofit enthusiast, you've probably heard the statistics. So, now what? This article does the resource gathering for you! Take a look at the articles they've gathered to maximize your year-end giving strategy, here. Give with your Head and your Heart this Give to the Max Day! 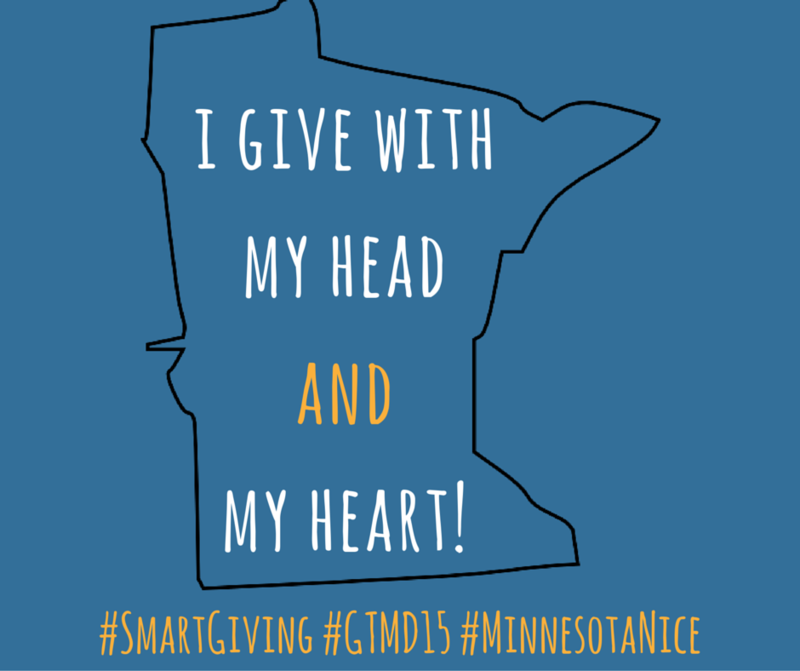 Get your Giving Guides ready, Minnesota's 24-hour online give-a-thon. aka Give to the Max Day, is almost here! At Charities Review Council, we know that all donors are investors and that every precious dollar matters. That's why we're partnering with you in preparation for Give to the Max Day, to provide smart giving tips and our most up-to-date listing of Meets Standards® organizations, so that you can feel confident in your Give to the Max Day giving decisions. What is Give to the Max Day? Give to the Max Day is Minnesota's 24-hour online give-a-thon, where generous donors, like you, celebrate giving by supporting causes you care about at GiveMN.org. Last year, more than 62,000 donors logged on to give more than 18 million dollars. That's huge! GOLDEN TICKETS: Every hour, GiveMN will be awarding one Golden Tickets of $1,000 through a random drawing of all donations transacted during the previous hour. So your $10 donation could turn into $1,000 for your favorite nonprofit! That's great, but it gets better. GiveMN will also be awarding one super-sized $10,000 Golden Ticket through a random drawing of all donations transacted on Give to the Max Day. So go ahead, grab your lucky socks and give to your favorite Minnesota causes for a chance to turn your gift of $10 (or more) into $10,000. 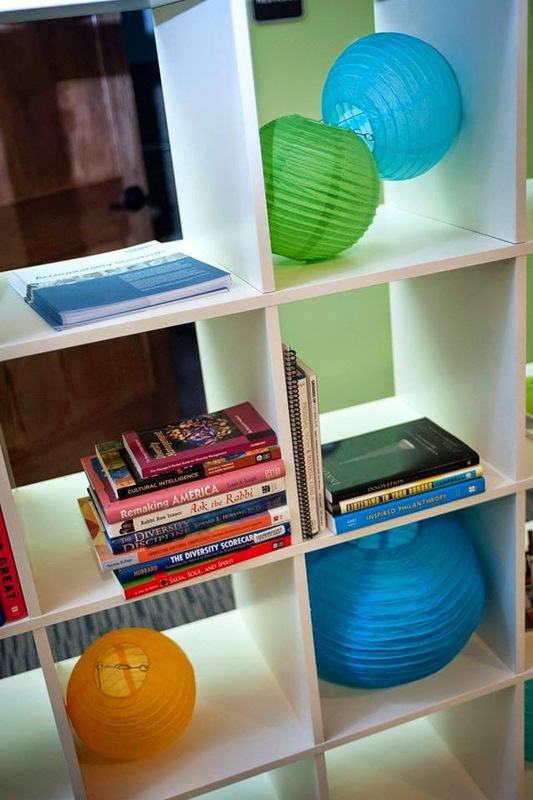 GIVER'S GLOW: Research shows that acts of philanthropy benefit the recipient and the giver! They call it giver's glow or helper's high. Join the "Great Minnesota Give Together," get your giver's glow and invite your friends, family members, neighbors and co-workers to do the same! When is Give to the Max Day? Give to the Max Day is Thursday, November 12, 2015. Mark your calendar, set your alarm or schedule a donation right now! Give to the Max Day doesn't take place until the 12th, but you can schedule your gift now and still have it count towards the prizes outlined above. To schedule your gift go to www.GiveMN.org. Give with your head and your heart this Give to the Max Day! Giving to a nonprofit for the first time? Be a smart giver with these 3 easy steps. Whether it is finding a cure for cancer, like Meets Standards® organization Children's Cancer Research Fund, or finding loving homes for animals in need, like the Animal Humane Society, identify a worthy cause that aligns with your values and beliefs. Once you've identified a cause, use our list of strong, trustworthy nonprofits to streamline your search and vetting process. Organizations on this list have partnered with us to align their policies, practices and procedures to widely accepted standards of nonprofit accountability and strength. Don't see an organization on our list? Contact our Nonprofit Services Team at 651-224-7030 for more information. Check out the nonprofit's IRS Form 990 (Part III, Question 4 is a good starting point) to learn more about the organization's program activities. You can also take a look at the organization's mission statement, goals and accomplishments. Do they align with your values and interests? Equipped with the Give to the Max day details, smart giving tips and our list of strong, trustworthy nonprofits, you're ready to show off your "Minnesota Nice" by giving a gift to Charities Review Council and one (or more!) of your favorite Meets Standards® nonprofits on Thursday, November 12th. Ready, set, GIVE! Go to www.GiveMN.org to get started. At Annual Forum 2015 we talked Radical Collaboration as a way to launch into a new era philanthropy where donors and nonprofits are working together towards the greater good. MAP for Nonprofits has been helping nonprofit organizations explore and construct alliances and strategic restructuring since 2007 through mergers, joint ventures, program transfers, shared services and acquisitions. So, who better to share their thoughts on collaboration through the years than MAP’s Executive Director Judy Alnes? We met with to Judy to get a better understanding of MAP's restructuring services, her thoughts on nonprofit collaboration, the nonprofit sector, and her personal dreams for collaboration. In 2007, MAP added merger/redesign consultation to their mix of services as they encountered a peaked interest in organizations exploring mergers, acquisitions, program transfers and more, in an effort to stabilize and survive during tough economic times. In 2009. MAP published MergeMinnesota, providing step-by-step merger guidance to nonprofit organizations. And in 2012, in partnership with Amherst H. Wilder Foundation, they were the first to publish findings on factors that create successful mergers in Success Factors in Nonprofit Mergers. To put it simply, when it comes to nonprofit mergers, MAP knows what they're doing! According to Judy, since 2007 there's been a definite shift in the way nonprofits approach collaborative opportunities. "Organizations are now focused on trying to find the right partner to advance the work." It's less about trying to stabilize/survive and more about strategic decisions to further the work. So where does MAP come into play? MAP is there to play nonprofit "match-maker," offering consulting services to help pair organizations with similar goals, hopes and dreams. "More and more leaders are seeing the value in collaboration," Judy shared when asked how she's seen collaboration change over the years. "But collaboration takes time, energy, trust and common ground, and too often people are looking for speedy results." She went on to say, "We can't solve problems in a day. Sometimes the tough work takes time." We couldn't agree more! At Annual Forum 2015, we took a closer look at 'Radical Collaboration' asking, what does real, authentic collaboration look like? How can we partner in new ways to achieve even greater outcomes? And, how does collaboration help build our community as a whole? Annual Forum panelists (pictured below) shared openly about their efforts to achieve authentic and meaningful collaboration, including discussion around both the success and challenges that can accompany a collaborative venture. But, Judy's right, it's not easy. Change is rarely easy, but is necessary in order to make space for new ideas and even greater outcomes. When asked what she sees as opportunities for collaboration in the future, Judy mentioned organizations with common missions and goals coming together to create meaningful, lasting change. "Too often work is piecemeal-ed and uncoordinated. People/organizations need to become less territorial and less competitive if we are to solve some of the issues that need resolution." Judy went on to say, "Boards play a huge role. Instead of focusing on preserving the organization at all costs, they should instead be focused on advancing the mission and working towards solving the problem." Judy and the MAP team is excited to announce their new partnership with BoardSource. Together they'll develop and launch a large-scale campaign focused on creating a sustainable shift in board attitudes and practices that will support nonprofit collaborations and restructuring. "We aim to inspire boards to think and act differently so that the most meaningful structures for carrying out their missions can be realized." Before our time with Judy was up, we had to ask, what is one Radical Collaboration you wish you could make happen? Judy's dream for collaboration is to reclaim the night sky from light pollution. "There's a massive universe out there and we're robbing generations of being able to feel connected to something greater than themselves, through night pollution." To learn more about MAP check out their website at www.mapfornonprofits.org.